WARSAW — Banner Medical broke ground today, Tuesday, Aug. 25, to commence construction on a $6.3 million state-of-the art material processing facility in Warsaw. Warsaw Mayor Joe Thallemer welcomed Mark Redding and the team from Banner Medical as anchor tenants on the newly expanded tech park facility. The event took place at the corner of Silveus and Polk Drive. Redding, president and chief executive officer, stated “this is a long time coming. All’s well that ends well,” adding the location is the optimal solution and commended the city on the foresight of putting the park in place. He stated he is looking for many more companies to follow their example. “We have been looking forward to an event like today for a long time. The path to get to this point has been lengthier that we would have preferred but the end result seems optimal. I congratulate Mayor Thallemer and the other civic leaders who made the Warsaw Tech Park reality. We believe it is the premier location for Banner Medical and our future growth,” said Redding. Concrete and foundation work on the new site will take place near the first week of November with construction to be completed by April 2016. This Greenfield facility will serve local and regional contract manufacturers and medical device OEMs by providing premium medical grade materials and essential value-added services associated with the manufacture of implantable products and instruments used in the orthopedic, spine and dental industries. 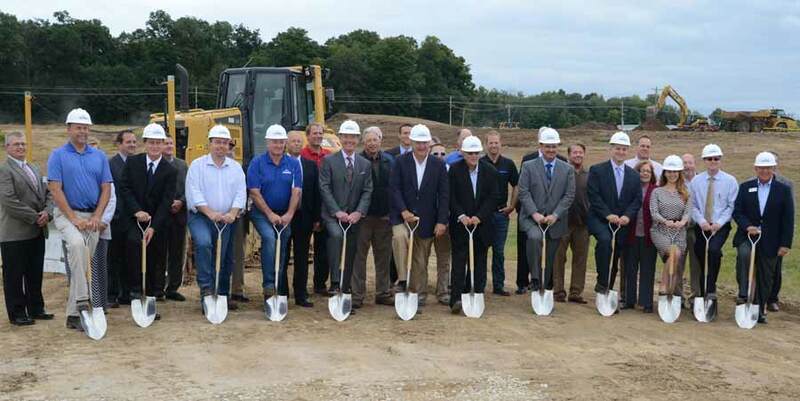 Breaking ground for the new Banner Medical Warsaw facility, shown with shovels, from left are: Cary Groninger, president G & G Hauling and Excavating; Rick Wallen, director of tech services, Banner Medical; State Rep. Curt Nisley; Dan Robinson, Robinson Construction; Mark Redding, president of Banner Medical; Mayor Joe Thallemer; George Robertson, KEDCo; Rocky Rockwell, general manager of Banner Medical Warsaw; Dan Stoettner, executive vice president and chief operating officer Banner Medical; Kellie Altruda, Malcom and Associates, architects; Jeremy Skinner, city planner, Charles Smith, president Warsaw Redevelopment Commission.